President Dmitry Medvedev has suggested reducing the retirement age for civil servants from 65 to 60. Earlier, he suggested cutting the number of bureaucrats by 20 per cent. Amendments to the Law on Civil Service have been submitted to the State Duma. Currently the law sets the retirement age at 65. However, it states that civil servants performing their duties under an indefinite service contract must, upon reaching the age of 60, renew a contract for one to five years. That leads to a number of problems, according to the Kremlin website, since the parties are compelled to renew their agreement. The bill proposed by the President is aimed, among other things, at resolving that complication. The draft suggests setting the pension age at 60. Meanwhile, civil servants who are willing to keep working may have their service extended by the employer, though not beyond the age of 65. What on paper looks as tangled judicial nuances is, in practice, an attempt to bring new blood into the Russian state machinery. 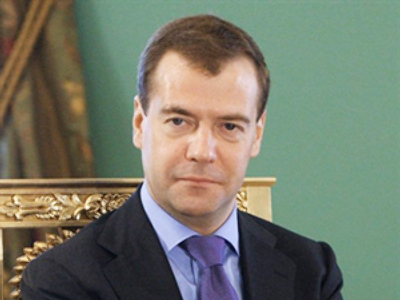 Medvedev – the youngest ever Russian president, the modernizer – wants younger people to serve the state. “Medvedev is a young man and it is obvious that he is shaping his team from younger representatives of bureaucracy,” says Olga Kryshtanovskaya, director of the Moscow-based Center for the Study of Elites at the Russian Academy of Sciences. However, it is not that easy to say whether it is good or bad, she told RT. The average age of governors appointed by Medvedev is 48, whereas before it used to be 63. Such abrupt rejuvenation is being taken positively by young representatives of the political elite, while elder ones are not that happy with the changes, the expert says. “Sociologists call this process the ‘fragmentation of elites’. That is when the elite break up into different groups with opposite interests and start competing with one another fighting for a place in the sun,” Kryshtanovskaya said. “I very much doubt [the move] will add to Medvedev’s popularity among the elderly part of today’s bureaucracy. And it is no secret that politics is the business of not very young people,” she went on. The average age of the political elite in the majority of countries is about 55 years – in Russia it is currently 54. “Those in their forties are seen as youngsters in politics,” the analysts stated. People come to the political scene after achieving significant results in their first profession. One needs serious political or simply life experience, she believes. Years ago, long before the first states appeared, councils of elders used to govern society. “So handing over the power to the young is only a risky idea,” Kryshtanovskaya believes. Indeed, there is nothing good about stagnation like it was in the USSR, when people would occupy the same post for a quarter of a century, she went on. However, it is also dangerous when people move too quickly within the political elite, the analyst added. “Such intense turnover took place in Gorbachev and Yeltsin’s times. As a result, these people lost support among members of political class,” the expert explained. So keeping balance is crucial. According to Kryshtanovskaya, a professor of sociology, there are about 10-12 per cent of state servants aged 40, and about 30 per cent who have turned 60. “So quite a large group of people will suffer if this bill is passed,” she said. ”I think the purpose of the move is obvious. 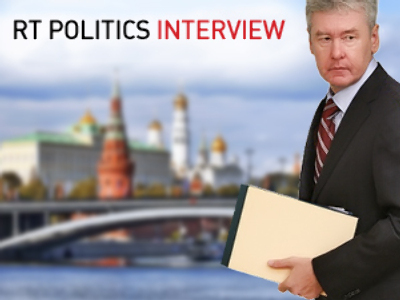 Russia is a country of bureaucrats,” Leonid Radzikhovsky, independent political analyst and publicist, told RT. “Everyone is aware that the inability to remove officials, or the fact they [move from one place to another] for unlimited periods of time is actually a means of nourishment, fertilizer for corruption. It has to be sorted somehow,” he said. According to the analyst, the method of punishing corrupt officials by law set in the Criminal Code “works, but not efficiently enough”. Therefore, preventative measures are needed. “So I believe that Medvedev’s proposal should be viewed in the context of such preventative measures,” he said. That includes cutting the number of state servants and reducing the retirement age. 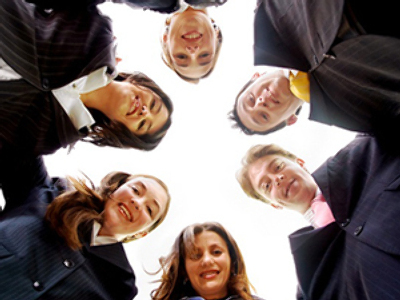 Higher turnover would make people stop thinking that they can keep their job forever. Overall, the idea proposed by the head of state is rather positive, Radzihkovsky said. The main purpose of the idea proposed by Dmitry Medvedev is, first of all, to make the system simpler, said Dmitry Polikanov, vice president of the Center of Political Studies and a member of the ruling United Russia party. Secondly, the move is aimed at “rejuvenation of staff within public administration.” That is what President Medvedev and the United Russia faction were calling for. “We need new people with fresh approaches who will move on ideas of the modernization of the country,” he told RT. At the same time, Polikanov noted, “we should not be absolute about age and the word ‘youth’.” People can be effective at different ages. “What we are doing is just simplifying one criterion, but there are other criteria and ways to evaluate the effectiveness of one’s work”. “On the one hand, we should understand that even at 60 a person can be an effective manager and a combination of one’s experience and knowledge could be in high demand,” the politician said. On the other hand, he went on, in order to progress modernization, a system of promotion of people should be created in Russia. The political analyst believes the State Duma will pass the amendments. However, it will take time for the changes to be seen. “I think it is not a question of a deadline set. What is important is that the process will be launched…and a way for the next generation of managers – who are now in their 40s or 50s – will be opened,” Polikanov said.